Why do Thorns, Thistles and Weeds take over Good Soil? When I moved to our last house we had a garden at the front of the house. It was south facing. When spring came we sat outside in the sunshine. It was private. I invested in sun loungers and my children would compete who could get sitting on them when I was not around. I sat outside relaxing. I looked around my garden. I planned what I would do to improve it. I grew up on a farm. I remember helping my father gather potatoes. I was not afraid to get my hands dirty. I helped mum with her work collecting eggs. Dad kept a milking herd of cows. It was an early start each morning for my father, every day of the year. My mother and father worked to rear their family of ten children. I would watch as my father trimmed the hedgerows or mended gaps to keep animals from getting out of the field. I inspected the holly hedge at the front of the garden and the two walls at either side. The hedge needed trimmed and encouraged to grow higher. The walls had become overgrown with ivy. The previous owner had cut the grass but the thorns and weeds were taking over on both sides. I decided to reclaim some land! I was able to use my experience from growing up on the farm. I got on my working boots and clothes. I began to tackle the thorns with sharp hooks. My children watched and joined in to help. 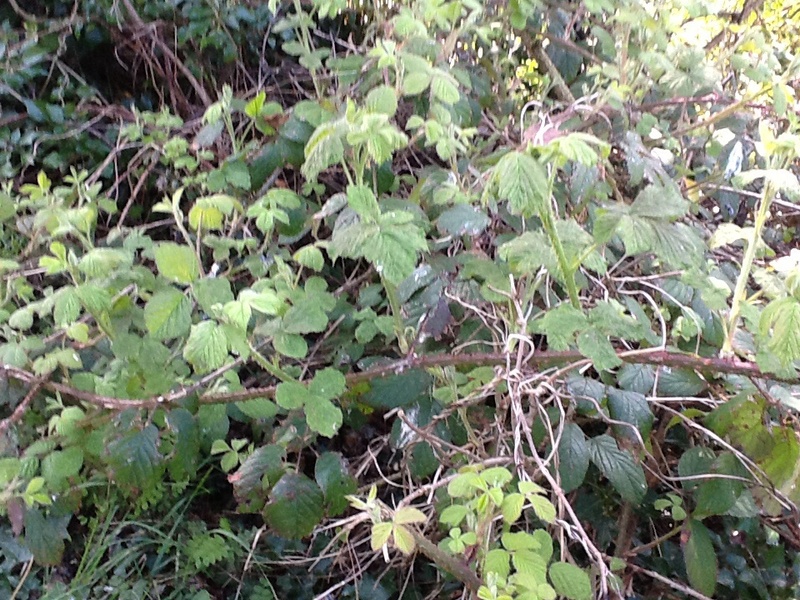 In early spring the thorns and weeds are the first plants to emerge. The thorns send out their shoots sideways. Very soon they can cover a piece of ground. I was determined to deal with them. I was going to reclaim two stripes of ground at the side of my garden. My boys helped me. In no time we discovered rich composted soil under the surface of matted briars. 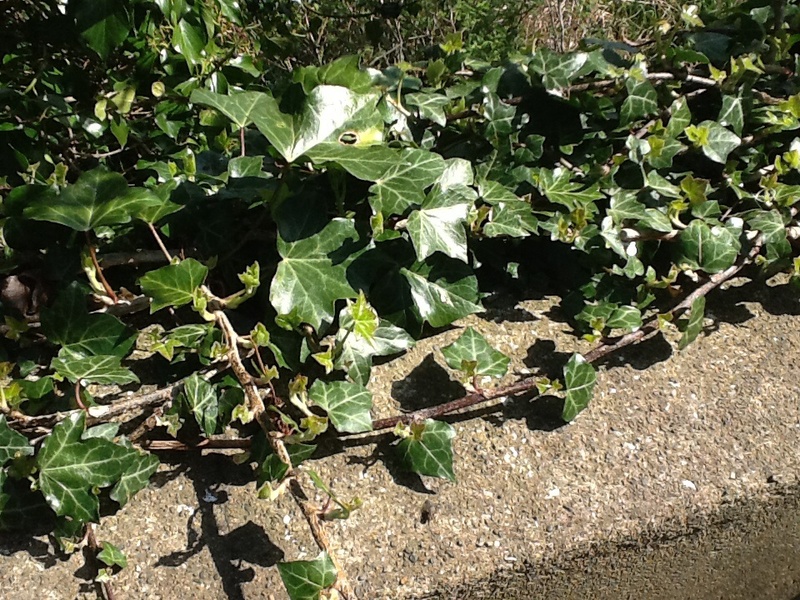 We trimmed the ivy that had hidden the stone walls. I burned up all the thorns and ivy. One does not have to plant weeds or thistles. They just appear. It is true what the God said to Adam. Thorns and thistles will grow. To Adam he said, “Cursed is the ground because of you; through painful toil you will eat food from it all the days of your life. It is a constant battle for the farmer to get rid of weeds and allow the wheat to grow to produce food. As I cleared the weeds and thorns that was covering the good soil, I thought about how bad things come into people’s lives to stop the good in their lives coming forth. I thought how Jesus came and moved among people and delivered them from the things that prevented them living normal lives. Sickness, infirmity, epilepsy, leprosy and depression were cured by Jesus. These things are like weeds and thorns in peoples lives. Jesus told his disciples to do what he did. He gave them authority to use his Name. After Jesus died and shed his blood on the cross he defeated the power of the devil. By calling on the name of Jesus and claiming the power of His blood all “weeds and thorns” in our lives can be removed. Then we can live fruitful lives.